The idea of a long trip with your little one can be daunting. The professional postpartum doulas at No Barriers Birth compiled a list of solutions for infant discomfort during travel, so that you can feel confident and prepared! 1. Relieve Ear Pressure Just like adults can alleviate pressure in their ears by chewing gum, babies also find relief in sucking and swallowing. Since turbulence may make breastfeeding difficult or dangerous, you might want to have a pacifier or bottle on hand. Tylenol given a half-hour before take-off and again before landing can also prevent pain (and screaming). 2. Prevent Overfeeding While feeding may soothe baby, feeding more than you normally would can cause painful bloating. Atmospheric pressure actually creates more air in your tummy, so substitute pacifiers and teething rings if baby is full and needs something calming. 3. Avoid sedatives Medications meant to make baby sleep often backfire and make your child overtired and irritable or even hyperactive. Instead bring a few new toys that baby has never seen for a nice distraction, or even headphones and calm music. 4. Temperature Planes can be freezing! A familiar blanket that smells like Mom or Dad can be a lifesaver. 6. And if all else fails, do not let the haters get you down! 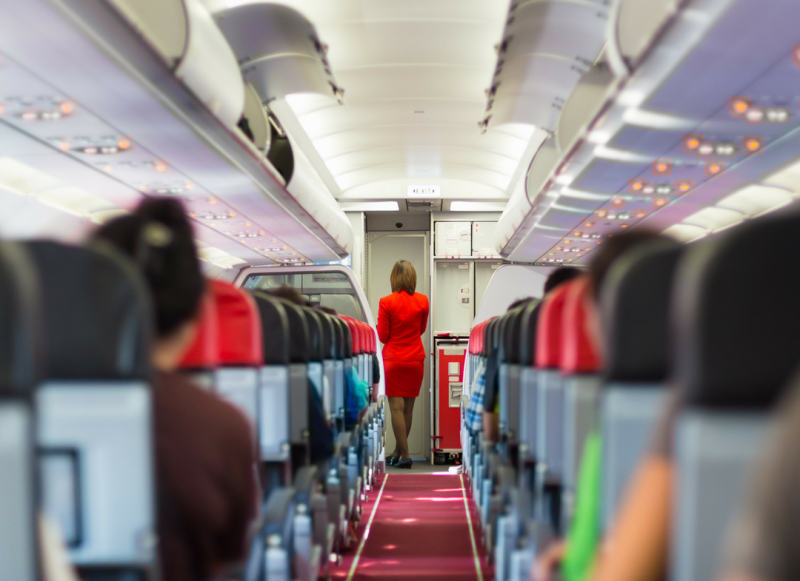 Solicit the help of a flight attendant if someone is bothering you or making you upset. You deserve support, not judgment! Handling the details: She will make sure that nothing is left behind, from a car sun shade for shielding baby to resealable bags for dirty clothes and bibs. She will find the mother’s lounge at the airport and make sure a crib is set up in the hotel room, taking all of that worry off of your shoulders. Dealing with the TSA: Have no fear when it comes to bringing breastmilk on a plane or transporting your stroller—your doula will double-check all of the rules and standards before you even book the flight. It will also be such a relief to have your doula’s extra set of hands to cart everything through the airport! Taking care of yourself: Want to go on an outing with your family but baby needs a nap? Let holiday time be as restful, fun, and stress-free as possible by bringing your postpartum doula with you. Just like she does at home, she will enhance your experience, and make sure that you don’t miss out on anything! Oh My God, I’m pregnant! OH MY GOD!!! Those are the only words that made it out of my mouth for about ten minutes. I just kept saying it. Over and over and over. I yelled for my husband, who was playing Call of Duty in the living room, and by the time he heard me I had gotten pretty loud, so he busted through the bathroom door to see what in the world was wrong. I didn’t move from the toilet seat, just held up the pregnancy test so he could see and said “O MY GOD!” several times in different inflections and volumes. I was clearly freaking out. With his eyes glued to the test in my hand, and without saying a word, he slowly sat on the edge of the tub in front of me. Sitting on the toilet, in my mother-in-law’s bathroom, looking down at those two pink lines, with my husband either surprisingly calm or in shock in front of me, my mind was in a state of chaos. With every worry that my mind thought of, my mouth could only articulate out loud those three little words, while internally I had so much to say, so many what-if’s, how are-we-gonna’s and we-aren’t-ready’s. At 19, and married only a year, the furthest we had gotten on the plan of growing our family was making jokes about how we could make some really cute kids together. We lived in a tiny duplex apartment in East Texas and we did our laundry at his parents’ house on the weekends. Was this really happening? After a while, I was able to get quiet and when I looked at my husband, he was still there, still silent and…smiling? Was that really a smile on his face? Yes. He was smiling. And I melted. I realized that my husband and I were sitting alone in the bathroom, with a baby on the way and he was happy. We had made a family! When I asked him what he thought, he simply said, “Ok.” And that was everything I needed to hear. It was the answer to all the questions in the web of crazy in my mind. What if – It’s going to be ok. Where are we gonna – it’s going to be ok. How are we gonna – it’s going to be ok.
OH MY GOD, who would I be without this little girl that made me a mom?? How did you and your partner react when you found out!? How long did it take for your shock to turn into excitement? Tell us in the comments below! Summer in Tyler, Texas came on hot and heavy this year! It’s the kind of thick, sticky, heat that fogs up your sunglasses when you get out of the car. The kind of heat that has you darting from shade to shade as you zip through the Rose City Farmers Market, quickly grabbing your fresh loot before rushing back to the air conditioning. The kind of heat that begs you to slip your own baby bump and your cute toddler into a swimsuit and go to the Faulkner Park Splashground! 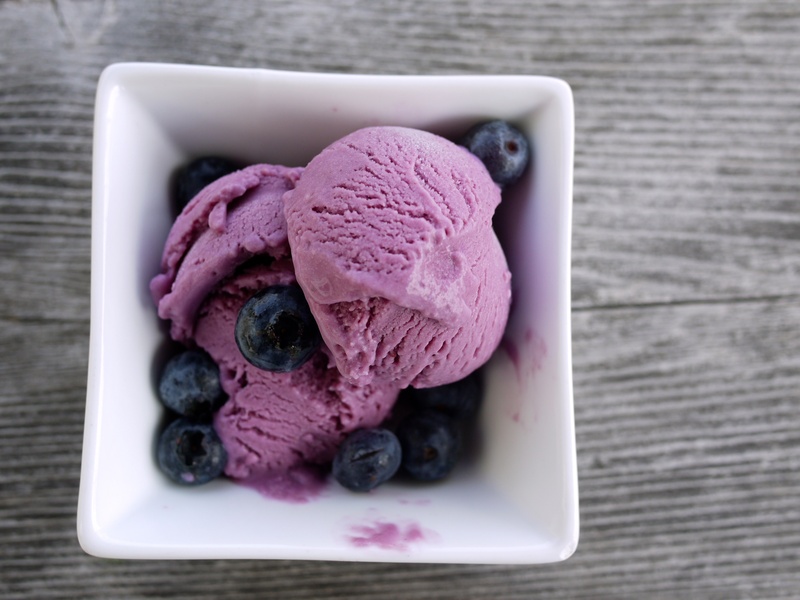 However you prefer to beat the heat in Tyler, a dish of this blueberry ice cream will hit the spot. We picked up some fresh, local blueberries at the market this Saturday and cranked out this amazing, creamy batch of homemade ice cream. It’s low in sugar, relying on the fresh berry goodness for its’ yummy sweetness. It takes all of 20 minutes to whip up ahead of time. So fast and simple! Pair with mint or basil for an extra special treat. In a large saucepan, bring your berries to a low simmer, gently mashing with a fork or a potato masher to help them break down. Gently simmer for about 5-10 minutes. Using an immersion blender, pulse a few times to get a nice, berry mash. Add milk and cream and bring up just to a simmer. Remove from heat. Whisk the egg yolks, sugar, and salt in a large bowl. Slowly whisk half of the milk-berry mixture into egg-sugar mixture. Pour back into the sauce pan and cook over medium heat, stirring constantly, until thick enough to coat the back of a wooden spoon, just a couple of minutes. Add vanilla at the end of cooking time. Pour into a bowl and allow to cool, stirring occasionally. You can run through a sieve to remove bits of pulp, or leave it in. Refrigerate for an hour or two until cold. You can also do all of these preceeding steps up to two days ahead of time. Pour into ice cream freezer and follow manufacturer’s instructions. Enjoy! What are your favorite summer ice cream recipes? Share in the comments below!